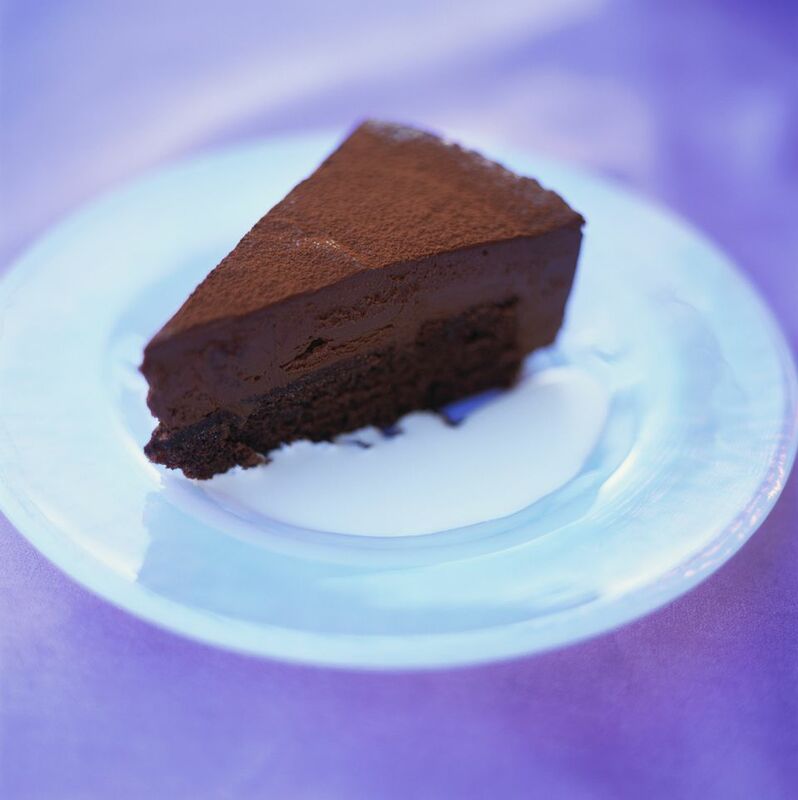 This recipe for Serbian chocolate torte (torta cokolada) is a moist, rich cake frequently served for Christmas, Easter, slavas and other special occasions. The finely ground nuts give the cake layers extra moisture. Maraschino cherry liqueur (rosolj in Croatian) can be added. This bittersweet, clear liqueur, flavored with Marasca cherries from Dalmatia and northern Italy, is made with the crushed cherry pits, giving it an almond flavor, and honey. After aging, sugar is added. A popular brand is Luxardo. Source: Rosa Rajkovic, Bon Appétit magazine, July 1982, p. 82, used with permission. To Make the Cake: Coat 3 (8-inch) round baking pans with cooking spray. Heat oven to 350 degrees. In a large bowl, cream butter and 2/3 cup sugar. Add egg yolks and beat until smooth. Add melted, cooled chocolate, again beating until smooth. Stir in nuts, bread crumbs, and milk. In a separate medium bowl, whip the egg whites until stiff. Stir 1/3 egg whites into chocolate batter to lighten the mixture. Then fold in remaining 2/3 egg whites trying not to deflate the volume. Divide equally among the 3 prepared pans and bake 15 minutes or until a toothpick inserted in center comes out clean. Cool in pans 10 minutes, then turn out onto wire racks to cool completely. To Make the Filling: Whisk together 1 cup confectioners' sugar with flour and combine it with 4 egg yolks and 1/4 cup milk in the top of a double boiler. Place over heat and stir constantly until mixture is thick. This can take some time. Add vanilla and liqueur, if using. Remove from heat and place in an ice-water bath to cool completely, stirring occasionally. In a medium bowl, cream 4 ounces softened butter with 3 ounces melted, cooled chocolate. Add cooled egg mixture to chocolate and whip until smooth. To assemble, place a cooling rack over a sheet pan to catch any drips from the glaze. Place 1 cake layer on the rack and spread top with 1/2 the filling. Place a second cake layer over this and spread the top with remaining filling. Place last cake layer on top. To Make the Glaze: In a microwave-safe bowl, melt unsweetened chocolate and 1 tablespoon butter. Mix in 1 cup confectioners' sugar and 1 teaspoon vanilla until crumbly. Add enough boiling water to form a pourable glaze. Immediately pour over the assembled torte, making sure the sides are covered. Press chopped walnuts into the sides of the torte. Let torte set completely before transferring with two metal spatulas to a serving plate.